I probably sipped my first glass of Widmer Hefeweizen while I was a graduate student in the great tundra of the Palouse, otherwise known as Washington State University. This was in the late Eighties and there were maybe one or two pubs in town where you could find decent beer. The Widmer story is fairly well known. The brothers, Kurt and Rob, built the business from the ground up, with a sizable assist from their dad, Ray. You see, Ray could fix anything...a nice skill to have when your brewery is made up primarily of scavenged dairy equipment held together by baling twine. Things weren't very sophisticated in those days and the Widmers weren't the only ones who built a brewery from junk. But the business was a success and they eventually grew up and out of their original digs on Northwest Lovejoy. Seeking a larger space, they looked at numerous locations before getting hooked on an abandoned building on Russell Street. This was not a good area in those days and nearly everyone advised them against taking up residence there. But the price was right ($1) and they made the leap. A few million bucks in renovations and improvements later, they went on to even greater success at the Russell St. location. The brewing operation has expanded dramatically into one of the largest regional craft breweries in the country. Today, Widmer is part of the Craft Brew Alliance, which includes the Kona, Redhook and Omission (gluten-free beer) brands. They've produced many great beers over the years, but it's an accepted fact that Hefeweizen built their brand. The brothers tapped into the broad appeal of Hef when they partnered with Anheuser-Busch in 1997. That deal provided access to the AB distribution network, thus putting Hefeweizen on store shelves throughout most of the country. A major home run. I had a chance to chat with the brothers the other week as part of a project that's a little bigger than this blog...more on that down the line. I was surprised to find them sharing a very plain office at the street level on Russell. This is a long-term arrangement. I don't know how they manage it, honestly, but working in close proximity has probably benefited the business over the years. Back to the flagship beer, Hefeweizen. If you follow the beer industry at all, you may know the beer that essentially built the Widmer brand has been dropping market share in recent years. It's the result of more competition in the wheat beer segment (from Blue Moon and others) and a growing flood of craft beer choices, generally. The lagging performance of Hefeweizen has forced the organization to rethink and alter its approach. You see this represented in the Rotator IPA series, the Series 924 beers and the increasing number of experimental and seasonal beers. An active creativity is driving the business into the future these days. I was recently invited down to taste some of the new (and old) concoctions. 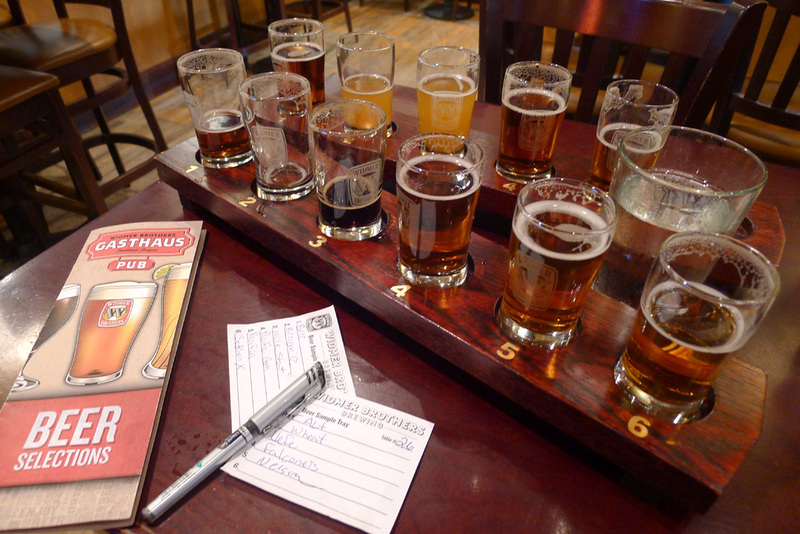 A tasting trip to the Gasthaus is always a worthwhile treat, even more so when you have the benefit of a guide...in this case brewer Ben Dobler. Ben came to Widmer in 1996 after three years at Bridgeport. He is well-immersed in the experimental, pilot brewing program. The current lineup of Widmer beers has some interesting twists. Of course, there's a seasonal aspect to it and you won't find everything on the list in the pub. A few of my highlights below. X Wheat is unfiltered wheat beer brewed from a recipe used in the early days of Hefeweizen. Tasted next to the current version, X-Wheat is clearly a bolder interpretation of the style. It seems the current Hef has been softened up somewhat over the years to gain (my guess) wider appeal. I really liked the X Wheat. Series 924 Milk Stout has a rich chocolate flavor and is ultra smooth with a vaguely sweet finish...apparently the result of adding milk sugar. I'm not normally a stout fan, but this is a good one. Milk Stout has limited availability so you'll have to get it soon. Brrrr Seasonal Ale is Widmer's standard winter beer, available in bottles and on tap. A lot of people get fooled by this beer, thinking it's a dark winter beer. That's not what it is at all. Instead, Brrr is a mildly sweet, mildly hoppy red ale. At 7.2%, it isn't exactly light. But Brrr is balanced and highly drinkable. 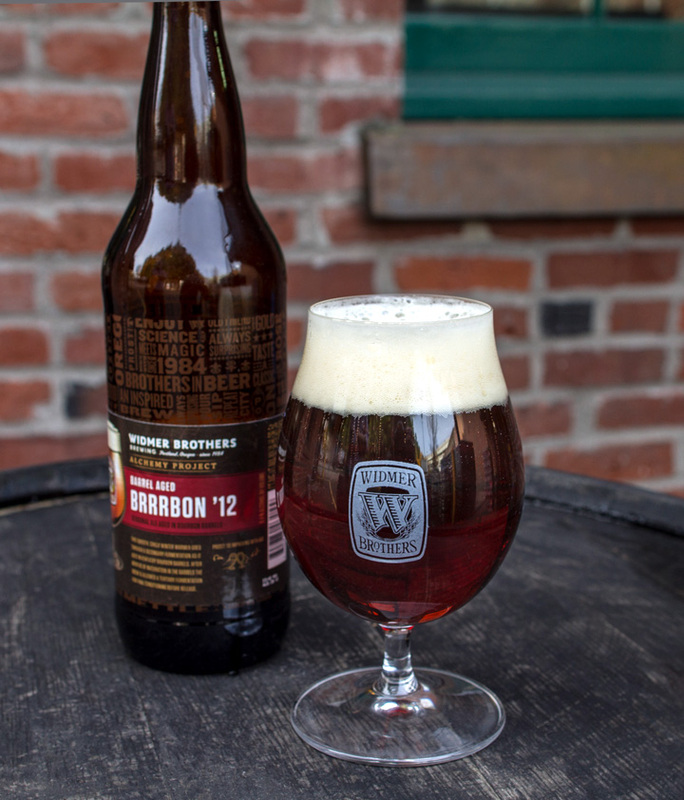 Alchemy Project: Barrel Aged Brrrrrbon '12 is essentially Brrr aged in Kentucky Bourbon barrels. This is the third year of this beer. Bourbon aroma and flavor is very upfront and pretty hard to miss in this one. I think it could use some cellaring. This is a big beer (9.2%) and it will surely be better in a year or two than it is now...though it isn't bad now. Nelson Imperial IPA is one of the year-round Series 924 beers. It packs a pretty serious hop punch (70 IBU) balanced out to some extent by a subtly sweet malt background. I've liked this beer since it was released because it's consistently clean and flavorful. There are other Imperial IPAs I like better, but Nelson is a solid standby. They were featuring several New Zealand Hop beers...Pacific Gem, Pacifica and Southern Cross. Ben described these as experimental brews made to test the characteristics of the hops. None of these beers was great, though Southern Cross wasn't bad. They're far more important as a symbol of Widmer's commitment to trying new approaches and ingredients. 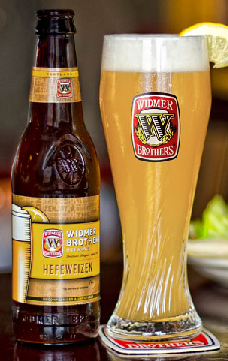 In the overall scheme of things, I'd say the challenge posed by the threat to Hefeweizen has made Widmer better. They cruised along for many years on the strength of Hef's financials. I don't want to say they weren't creating anything interesting during that time, but they have most definitely turned their game up a notch in the last few years. It's good to see.